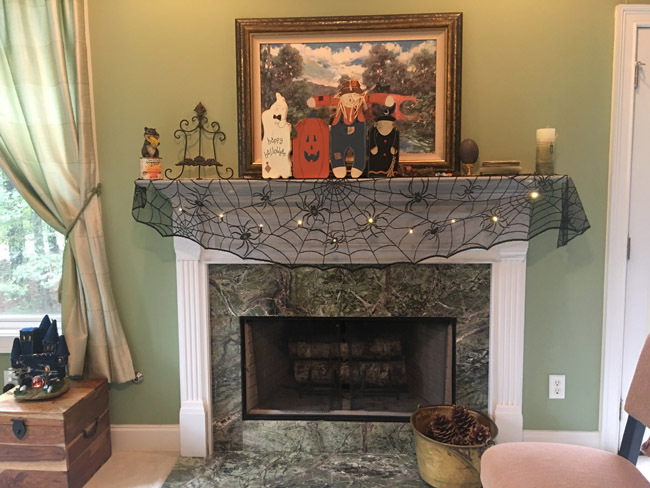 I had already decided I wasn’t going to decorate for Halloween when Olivia came home this past weekend. Neither child (although they are not children anymore) was going to be home on Halloween and I didn’t want to get out all the boxes of decorations just to decorate for myself. 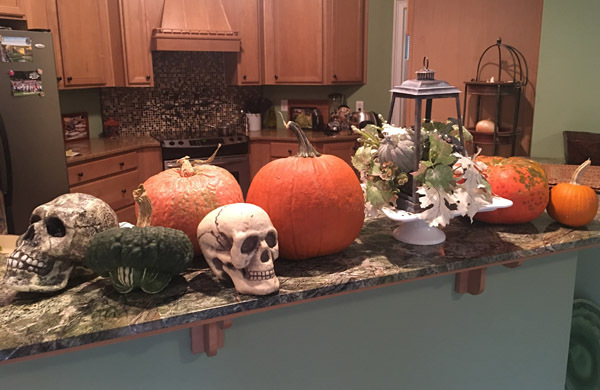 Then, Olivia decided she wanted some Halloween decorations for her apartment, so I got the boxes out for her. Dang those Hallmark movies and their commercials. I was watching a Hallmark movie after Olivia left to go back to school and I decided that on each commercial I would go to the basement and put a box away. 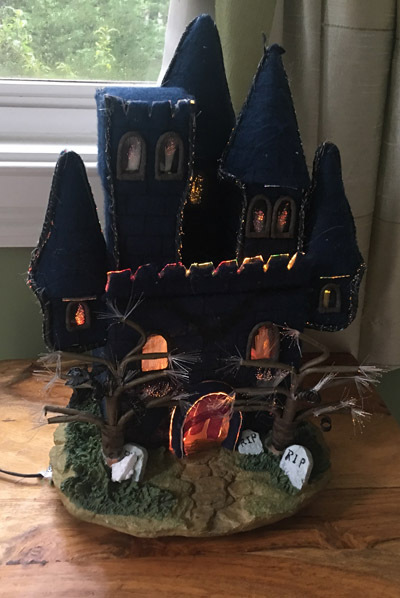 Well, as you can see, I started pulling decorations out of the boxes and by the end of the movie my house was looking quite spooky. 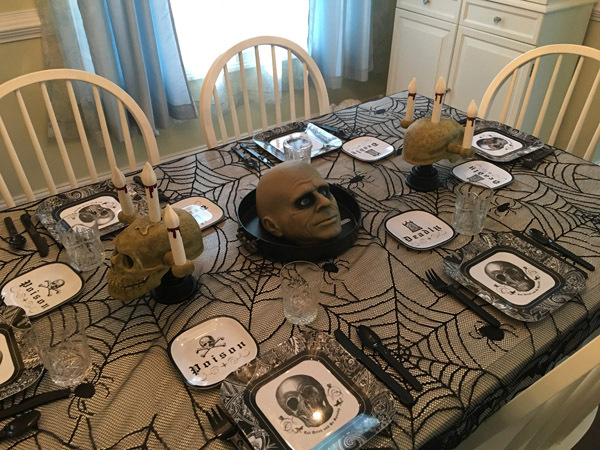 Halloween is a multi-age celebration. I think everyone enjoys dressing up and eating candy. What’s not to like about that? 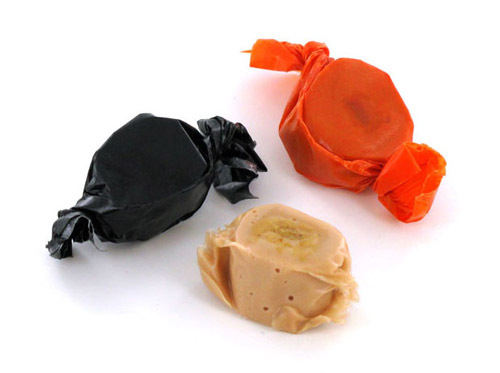 As an adult, you can even buy lots of the candy you like and you don’t have to trade the disgusting peanut butter taffy wrapped in orange or black waxed paper for your favorite candy bars. Milk Duds and or Malted Milk Balls – both are not to be found in this candy jar. Now I feel like I need to go brush my teeth. Just thinking about all the sugar makes me want to floss and brush. 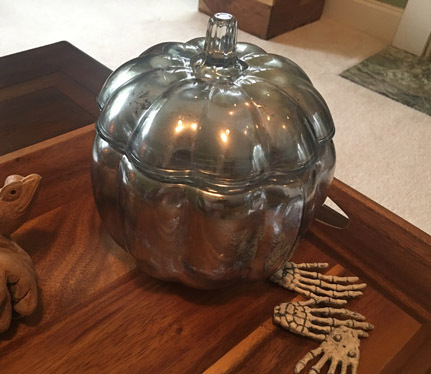 Halloween Decorations are for You, too! I will say that after I decorated, I am enjoying my house. I guess sometimes when you’re an empty nester you have to do some things for yourself that you don’t really feel like doing. In the end, you realize that there are other ways to enjoy a holiday other than through your children’s eyes. And especially Halloween because it means more Butterfinger Bars for yourself!!! 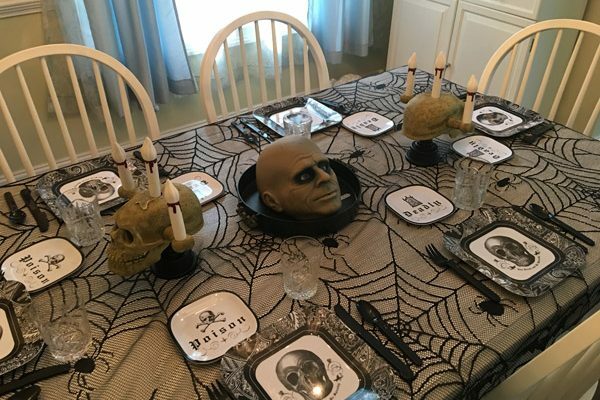 I put out my dining room Halloween Decorations today. 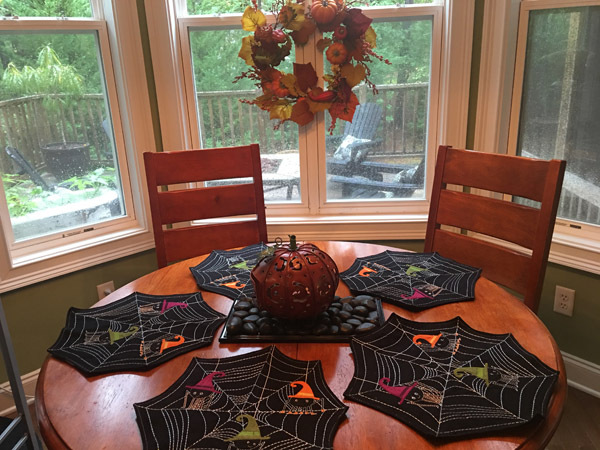 Your house looks great decorated for Halloween! Thank you. I’ve enjoyed having everything out.